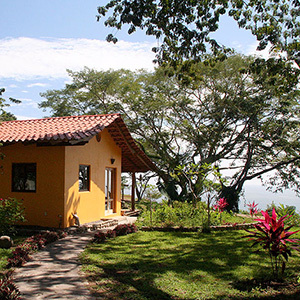 My wife and I recently purchased a home in the Montezuma area of Costa Rica. We found the house through Tropisphere and in particular Christina Sherman. Christina did a professional job of finding out what we were interested in seeing up front. Not like other agents who would throw up a lot and see if anything sticks, we were presented a very good selection of properties that suited our requirements. Once we decided to buy, the deal got very difficult due to the owners’ neglect in keeping the corporation up to date. Christina went well beyond what would be expected of a real-estate agent in getting government compliance issues resolved, bringing paperwork up to date and helping both the seller and us close this deal. If not for Christina’s efforts, persistence and knowledge there is no doubt the deal would have fallen apart. I am a very demanding and cautious buyer. Christina was able to work with me in a fashion that I believe most agents would have walked away from. We have leaned heavily on her for advice, direction and the ways and intricacies of Costa Rica. We were so pleased with Christina that we have retained her for her property management services. 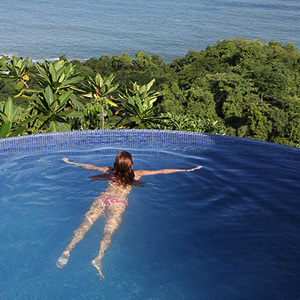 I would recommend Christina to anyone interested in any facet of Costa Rica. Hi – it’ s easy to say good things about Christina Sherman . “I first visited Costa Rica in January of 2007. After falling in love with the country and people I started to seriously consider the possibility of purchasing a second home there. Not only did I find it to be a very desirable place to own a second home I felt the investment would be extremely sound. The problem was that I didn’t have a clue on how to pursue my dream. I did extensive research on the internet to get a feel for the prices and most desirable locations, but the more I researched the more confused I got. Being a professional real estate agent in the United States I was shocked to see how unorganized and erroneously most of the information was being presented. I was getting frustrated by the lack of professionalism and courtesy by the countless people who called themselves ‘real estate agents’. I almost gave up until I came across a website designed by Christina Sherman. It was refreshing to see a real estate website that was concise, organized, and user friendly. After a few days perusing the site I decided to contact Christina to discuss some properties I found interesting. Within hours I was contacted by Christina by email and later by telephone. She spent a lot of time explaining the intricacies, process, and potential pitfalls of purchasing property in Costa Rica. She was professional, courteous, honest, nice, motivated and extremely knowledgeable on the subject. 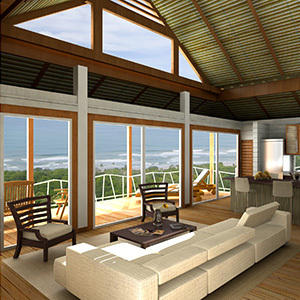 Within minutes of speaking with Christina on the telephone I decided to make a visit to the Nicoya Peninsula to meet with her and look for properties. Never being to the area, Christina sent me a lot of useful information on the area. She also helped organize my itinerary, booked my hotel, and even picked me up from the airport. Talk about service! After I got settled in my hotel room I met with Christina at a local cantina and over a pitcher of Sangria discussed in detail the in’s and out’s of buying a property there. With years of experience she had a wealth of knowledge and answered in detail every last question I had for her. She also listened intently and asked me specific questions to make sure she would show me the best properties that would fit my needs and budget. After two days, I decided on a little house near the beach that I fell in love with. The seller was motivated and within a day we were in contract on the property. Since I decided to finance the property she put me in contact with a local mortgage broker. I was amazed to see how thorough and professional he was. Within a couple of days I had approvals from 3 different banks. Christina walked me entirely through the financing process giving the mortgage broker everything he needed regarding the property. All in all, the process was smooth, quick, and easy. I know for a fact that if it weren’t for Christina I wouldn’t have had such a pleasurable buying experience and would have most likely been ripped off. “Buying real estate is a difficult task in any country, but when you are in a foreign land the task becomes even more daunting. Fortunately, of all the real estate options in the booming Costa Rican market, we were lucky enough to have found Christina Sherman. From our first phone call Christina was attentive and prompt in responding to all our needs, which at the time were continuously changing. When my husband and I made the jump from the United States to Montezuma, Christina acted not only as a realtor but as a friend who helped us acclimate to a new community in a foreign place. After three months, we finally found the perfect location to open our business, and Christina was there every step of the way. From negotiating the purchase price, to recommending a great lawyer, we knew Christina was there looking out for our best interests. Day or night she was available to answer any of our questions and ease any of our concerns. Unlike our experience with other realtors we never felt pressured by Christina to buy what wasn’t right for us. She helped us locate our perfect place in paradise, and was always honest and up front. Even after her job was done Christina was still there to help, including recommending a person to help us with our insurance needs. Christina has the knowledge, the resources, and the expertise of those in large real estate firms, but she also gives all of her clients the personal attention they deserve. Whether a transaction is large or small Christina will make you feel as if you are her only client. 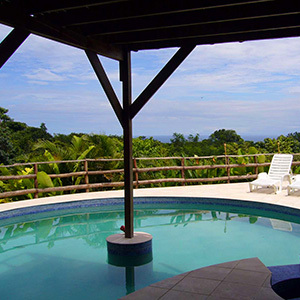 She has a genuine warmth and caring nature about her, and she has an overwhelming desire to see all of her clients happy with their decision to buy real estate in Costa Rica. Eight years ago, for my fiftieth birthday I gave myself the gift of my first trip to Costa Rica. Since that time I returned to this beautiful country many times. Being particularly fond of the Central Nicoya Peninsula, this year, after seeing the Santa Teresa Beach on House Hunters International, I opted to explore the Southern tip. After seeing a small Santa Teresa beach house advertised on the internet, over e-mail, I arranged to view the property with Christina Sherman, a partner with Tropisphere Real Estate. I was up front about “just looking” and exploring the area. After showing me the property and getting a feel for my preferences, Christina thought I might enjoy the quaint town of Montezuma and offered to show me some other properties. 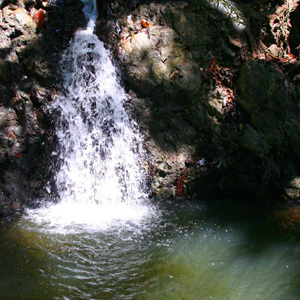 Yes, waterfalls, gorgeous beaches, snorkeling, islands, a quiet safe community with idealist lifestyles, and a variety of cultures were just what I was looking for. She helped with lodging and tours so I could get to know the area. As I got to know Christina, I was impressed by her business expertise, legal background, bilingual skills, hard working ethics, experience in self directed IRAs, and the fact that she manages numerous rental properties. Even though I could see opportunity in investing and owning in this breathtaking beautiful country, as a financially conservative single woman, I would have never have considered making a foreign purchase had it not been for my good fortune to meet Christina Sherman. We found a property that was everything and more than I had ever imagined, hence we made a dream come true, one that I never seriously entertained. Unable to speak Spanish, and unfamiliar with Costa Rican business dealings, Christina helped me in countless ways, some having to do with business and real estate, while others were of a personal nature. 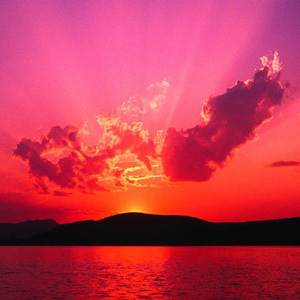 This buying experience has been like no other, one of the smoothest, positive and enjoyable experiences.